The Kwa-Zulu Natal Colonial Route & Safari holiday is a 7-night itinerary that takes you back to the days of the British pioneers and the Zulu wars! Your holiday will kick off with 3 nights in the Spoinkop region of the Drakensberg, where passionate guides will awaken the stories from the dramatic battle of Colenso, to Churchills capture at Chieveley! 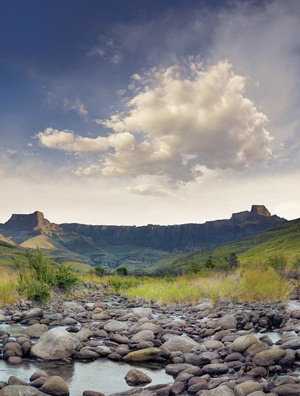 We also recommend that you spend a day in the Drakensberg, perhaps taking a hike, or doing some horse-riding, while breathing in the fresh mountain air. On day 4 of your holiday, you’ll set off on the beautiful drive towards Rorkes Drift, the heart of the Zulu-British wars. 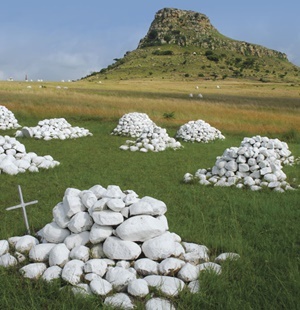 Here you will sit on the very site where the tragic battles of Rorkes Drift and Isandlwana took place as you are taken back into history and learn about the early pioneer days in South Africa. You’ll spend 2 nights at a family-run lodge before setting off on the final part of your Kwa-Zulu Natal colonial route & safari trip. The final part of your trip brings you to a big 5 game reserve, close to the Hluluwe region. You’ll spend 2 nights here and go on a total of 4 game drives, starting with an afternoon drive on your day of arrival, and ending with a morning drive on your day of departure. In addition to the big 5, the reserve is home to a variety of other animals, including cheetah, wild dog and a large variety of bird species. During the day you’ll enjoy a delicious lunch and some R&R before setting off for the afternoon drive. You could even pamper yourself with a massage, beauty treatment, or both, at the lodge’s spa room! The Kwa-Zulu Natal Colonial Route & Safari holiday is the ideal itinerary for those wishing to explore the more remote areas of South Africa, while at the same time learning a bit about the fascinating history of the country. Morning arrival in Johannesburg and collect your hire car, taking the road south towards the Drakensberg – the drive is approximately 4 hours and you will arrive in time for lunch. You are staying in the Spionkop area in the foothills of the Drakensberg, overlooking the reserve where it’s often possible to spot zebra, giraffe, antelope and even a rhino! During your stay a morning tour of the Battle of Colenso/Spoinkop as well as Churchills capture has been included. We also recommend spending a day in the Drakensberg. Three Trees Hill is your base and includes all your meals and even high tea! Today the road takes you to the very heart of the Zulu-British wars as you head to Rorkes Drift driving through lovely scenery. Staying in a reserve you can do nature walks and enjoy the peaceful surroundings. Your stay includes both the Battle of Rorkes Drift and Isandlwana tours where you will be taken to the battlegrounds and the setting will be brought to life by a talented rancoteur. Fugitives Drift Lodge is your base is owned by the Rattray family – David Rattray was a pioneer of reviving the Zulu war stories. All meals are included in the stay. The last part of your holiday brings you to a big five game reserve near Hluhluwe. 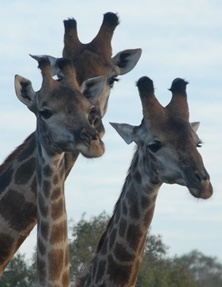 The reserve is home to a variety of wildlife including cheetah, wild dog and great bird life. Your stay includes 4 game drives – one afternoon drive on the day of arrival plus a morning and afternoon drive the following day and ending with a morning drive on the last day. Thanda Safari Lodge offers all the comforts, great accommodation and meals that you would want to relax. We also highly recommend a pampering spa treatment! All meals, local drinks and game activities are included in your stay. 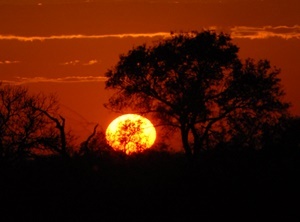 Today is sadly your last day and after a morning game drive plus a delicious breakfast its time to take the road home. You can fly back to Johannesburg from either Richards Bay (approx 2½ hours drive) or Durban (approx 4 hours drive) or why not extend for a few more days to laze on the beach…..